Filmed by Bike is a touring film festival that features the world’s best bike movies. Every May we host a gigantic film festival in our hometown of Portland, Oregon at the historic Hollywood Theatre. We award the best movies and curate inspiring bike movies collections. 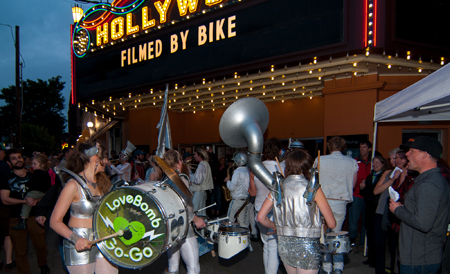 Over the course of a busy weekend, we host filmmaker events, a bike ride, after parties, three days of film showings at The Hollywood Theatre and visiting filmmakers. Bike Movie Nights – Worldwide! Want to get more people on bikes? 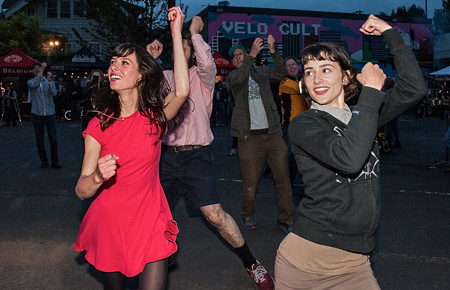 Host a bike movie night to build bike community. Filmed by Bike’s curated movie collections are inspiring. We send these collections all over the world through our Bike Movie Nights Program. Show Filmed by Bike at your next event. There is no way someone can leave the theater without being inspired to ride their bike more! This is such a creative, fun way to showcase active living and everyday cycling. Hundreds of international entries are submitted every year, and the very best (around 40) are featured in our programs. A panel of esteemed jurors makes that tough decision. Filmmakers now have an audience for their bike-themed films. Many of our filmmakers create their pieces specifically for Filmed by Bike. We’re the reason they put an idea into action – they know they’ll have an appreciative audience that understands their passion for bikes. Filmmakers from around the world flock to Portland for this spirited event, an opportunity to meet other filmmakers, share filmmaking tips and explore Portland by bike with local bike enthusiasts. 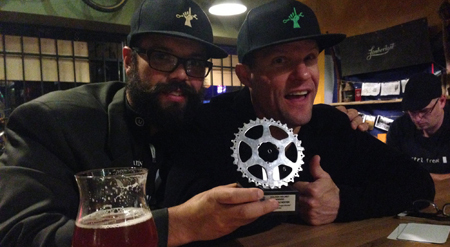 Entries are evaluated by an esteemed jury of bicycle and film enthusiasts the Oregon area. We accept Jury nominations every fall. 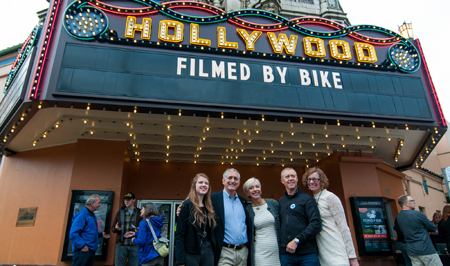 Filmed by Bike supports NW Documentary, a non-profit organization that helps people tell their stories through film. Their Ride and Shoot class teaches the finer points of documentary by bicycle. We love the impressive work they do and are proud that a portion of our proceeds benefits their programs. Filmed by Bike started in 2003 as a small fundraiser for bike events and we have been supporting a burgeoning international community of bike-loving filmmakers ever since. We started in a micro-theater with a whopping 60 attendees in Portland, Oregon. Filmed by Bike movies are now seen all over the world and our screenings regularly sell out. 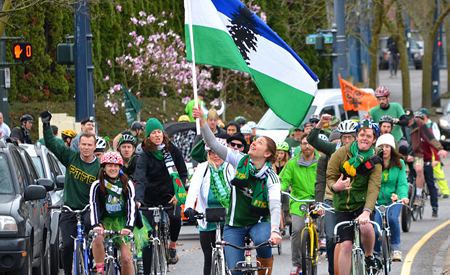 We are so proud to be a part of this global bike movement. Filmed by Bike’s carefully curated programs of the world’s best bike movies are available for screenings. 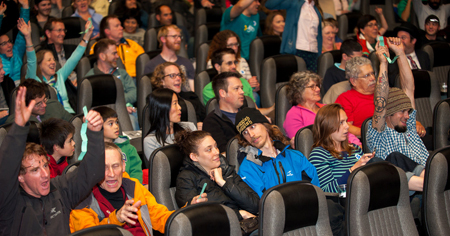 Showcasing a program of bike movies is the perfect way to inspire your bike community. WHERE DO THE MOVIES COME FROM? Movie submissions come from independent filmmakers worldwide. Submissions are accepted year round, and January 20th is the deadline for the following year’s program.